One of my secret pleasures is solving a botanical mystery. Nothing makes me happier than when somebody puts a plant on instagram and says “anybody know what this is?” - cue a lovely evening with a glass of wine and a pile of gardening books at my side, googling images and trying to work out key features of the plant to refine my search. Geeky plant-loving heaven! But despite loving the hunt, I have so often thought that there needs to be a shazam for plants. Well, guess what?!?!?! There is!!!! This app is brilliant. It worked really well and identified every plant that I tested it on. It is extremely easy to navigate, has a nice interface and, better yet, it’s free. 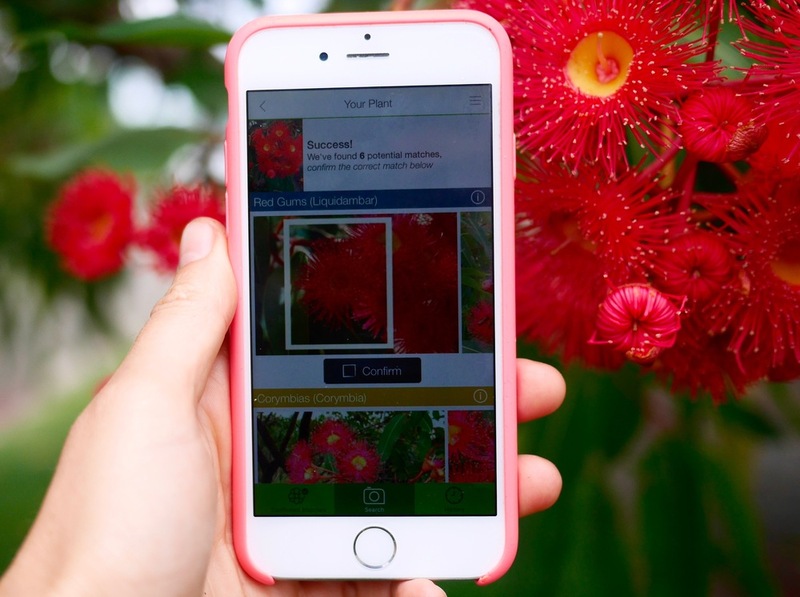 The app uses a photograph (one from your photo roll or one that you take within the app) and sifts through its database to find the closest matches. It churns out a few options, and in my testing I found that it almost always listed the correct plant in the first few choices (actually, it almost always picked it as its number one possible match). The app also worked really well using screenshots, so I was able to identify a plant that a friend recently posted on instagram. I think that this app is absolutely worth getting this to have when you are out and about and see a plant that you love but haven’t a clue what it is. This app worked really well and got as many searches correct as LikeThat Garden, although I found that it often listed the correct plant lower on its list of possible matches so it required a bit more sifting. In saying that, it did pull the correct result for the red flowering gum without the error that LikeThat Garden did. The app was easy to use and navigate - the only reason this didn't rank number one is that I didn’t think the interface was as nice as LikeThat Garden. But the app is free, so it is definitely worth having on your phone to double check plants. Plant Net has a really pretty interface, probably the nicest of the all the apps I tested, but it was terribly slow and really hedged its bets - there were a huge number of possible matches generated for each plant searched. I also didn’t think that it was as accurate as the other apps (for example, agapanthus was low in the list of possible matches, while it was the first pick on LikeThat and Garden Answers). Even though the interface was pretty, I didn’t think it was all that user-friendly. I found it unclear how to start a new search so I inadvertently "added" photos to a previous search - I took a while to realise that it wasn’t just pulling the same search results each time. Plantifier - to use this app you are required to sign up for an account and set a password - ugh, no thanks! Seriously, this is often an immediate block for me, especially when the first password you try is not “strong” enough… it is a plant app for goodness sake! The other thing that bothered me with this app is that it doesn’t sift through a database for matches - instead it relies on other people suggesting answers, which is by no means immediate. In fact, I am still waiting for a response on my first search (a buddleia). I am completely underwhelmed with this app. Flower Checker - my exact notes for this app are “crap, didn't work... Gave up”. I think that covers it. And it is the only one I paid for! iPflanzen - This is not a photo ID app. Rather it requires that you go through a checklist of plant features (petal number and type, colour, shape etc) and generates possible matches from your selections. In my opinion this app requires some level of knowledge of plant biology… I had to try a few times to get a foxglove as I didn't know what type of flower shape they are (in the end it come up when I selected “other” for flower shape, so I guess I never got it quite right). If you do use this app, remember to reverse the calendar year for the Southern Hemisphere. Although I wouldn’t recommend the app as a quick and easy plant ID app, it is a pretty good one for learning how to identify plants from basics.